These fabulously foxy fishnet stockings can be worn anytime. They are timeless and the perfect choic..
Silky's traditional fishnet stockings have a knitted comfort top with added lycra making them very d.. These fishnets provide a subtle yet sophisticated leg covering and can be worn at work or to complim.. This beautiful sheer hold up has a knitted diamond design with all over high shine glitter and a lux.. These lace reptile leggings will provide a touch of elegance to your outfit which will make you stan..
Ladies Black Over The Knee Stockings With Satin Bows. These Thigh High stockings come with bows in c.. These leather leggings will make it look like you're wearing tight leather trousers without the hass..
Black-Pink & Black-White Love Heart Printed Tights wear a Pair of these when Love is in the Air!.. Scarlet Lurex Tights are one of our the newest additions to the Scarlet Fishnet range. As part of th.. These fishnet gloves include a glitter effect which stands out from the Black/Red fishnet which make..
Scarlet Lurex Tights are one of our the newest additions to the Scarlet Medium Net range. As part of..
Scarlet Lurex Tights are one of our the newest additions to the Scarlet Whale Net range. As part of .. 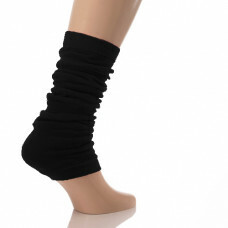 These medium net tights perfectly suitable for wearing comfortably with boots thanks to their unique..